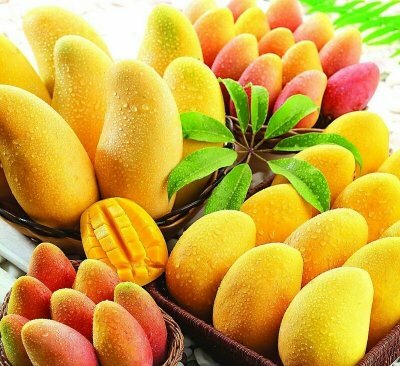 Mango is a healthy and delicious fruit. It contains phenolic compounds and natural antioxidant properties. These properties help combat various cancers. It’s also rich in potassium and is very beneficial for cardiovascular health. Read more about the health benefits of mango. Mango contains soluble dietary fiber, pectin and vitamin C higher than ordinary fruits, which helps to lower serum cholesterol levels (LDL), commonly known as bad fat. Plus, mangoes are a rich source of potassium, so it can balance sodium level and control blood pressure. Perhaps you are surprised to know that mangoes are closely related to skin health. If because of clogged pores develop acne, you can try to treat it with mango, mango can open the clogged pores of the skin. Just slice the mango into very thin pieces and keep it on the acne for 10-15 minutes, then wash your face with warm water. Mangoes were shown to have some impact on all cancers tested but were most effective with breast and colon cancers, due to its high fiber and vitamin C content, along with the presence of several phenols and enzymes. The anti-cancer compounds in mangoes effectively target and eliminate harmful cancer cells, without harming healthy, normal cells. two to three servings of mangoes daily. have your daily vitamin A intake at around 100%. Mangoes contain 5 grams of fibre per fruit, which accounts for around 20% of our daily fibre intake. Fiber is known to support digestive cleansing throughout the day, they passes through your gastrointestinal tract and helps regulate healthy bowel function. Moreover, it contains enzymes, like the ones that are found in papayas, that increase breakdown of carbohydrate and protein.